Forest School is a holistic approach to outdoor learning; it enables children to develop their confidence, risk taking, team-working and social skills through hands-on learning experiences in a woodland or natural environment. Forest School sessions at St John’s are run by our two qualified Forest School Leaders – Michelle Rudd and Julie Carr. Sessions vary depending on the age of the class and links are often made with topics and subjects being covered in school. A Forest School session may include a circle time around the fire pit, collaborative games, den-building, outdoor art, Science tasks, making bug hotels, team-building tasks, cooking on the fire, as well as free play or exploration time. Completing these activities in the outdoors contributes to a child’s sense of achievement and builds confidence and self-esteem. St John’s Forest School takes place in the natural area on our school field, which is next to Paddocks pre-school. This academic year, Foundation Stage, Year 1 and Year 2 attend Forest School every week. Years 3, 4, 5 and 6 have Forest School sessions weekly every other term – half of the school year. 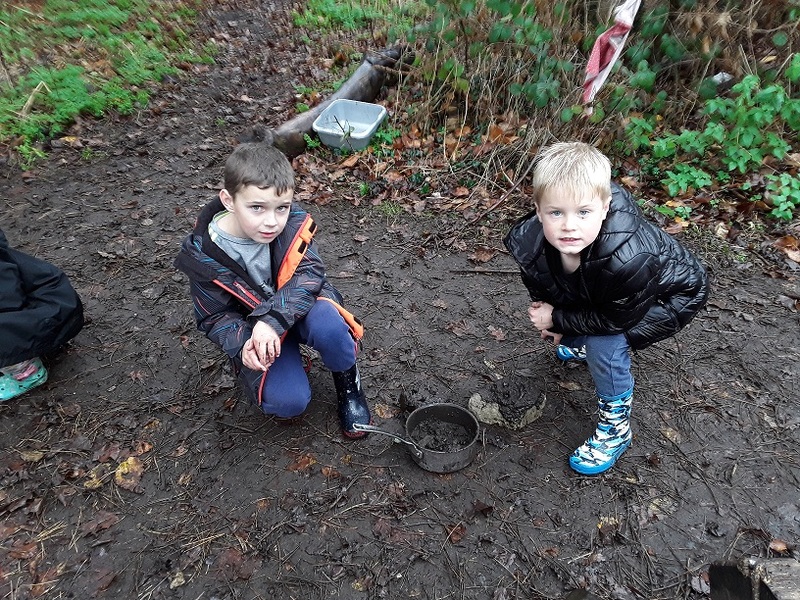 Children at St John’s attend Forest School all year round and are expected to go whatever the weather!